You’ve probably heard of the term ‘retargeting’ before, but what exactly is it? Retargeting is an online marketing tactic where advertising is targeted to potential customers based on their Internet history. It uses cookie-based technology to anonymously follow consumers as they browse through the web. Unlike B2Cs who typically retarget ads displaying products that you have previously viewed on their website, B2B retargeting ads drive viewers to the company’s website, often by offering a useful incentive that will give you a reason to click on their ad. Before starting a retargeting campaign, you first need to determine your goals and objectives. Why are you starting this in the first place? To gain new business leads? Promote a new product? Increase your social media following? Figure that out and then proceed to the next steps. There are a few different approaches when it comes to a retargeting campaign. One of the most common ones is a ‘Pixel-Based’ strategy. This is the kind of cookie-based tech that we mentioned earlier. When someone visits your site, a pixel will attach itself onto their browser so when they leave to visit another site, this pixel, or cookie, will instantly alert its retargeting platforms to serve particular ads based on the pages they previously visited on your site. ‘Keyword’ retargeting actually tracks people who have searched online for a specific product or service. This method is extremely effective for most B2B companies who sell products for specific applications. It does not require the searcher to have previously visited the company’s website, so it gets exposure to a much larger audience. Another retargeting method uses a list-based strategy. The only way to utilize this method is if you already have people’s contact information in your own database. This process is pretty easy and you can even do this on social media platforms like Facebook and Twitter. You upload your list of names and email addresses to whichever platform you prefer, and then it will find the profiles of those people connected to those email addresses. From there, you can target ads to those people, or even create lookalike audiences, which are new people that are similar to your existing customers and who are likely to be interested in your business. Create unique and attention-grabbing content as well as clever and witty copy that gets straight to the point. Also make sure that the content and copy complement each other. Give people a reason to click on your ad. Offer them an incentive such as a free whitepaper or some type of guide—something that they can benefit from. The link attached to your ad should send your prospects to a specific page; it should be relevant to the ad. Do not send prospects to your homepage. There are so many tabs and buttons to click on—the endless options will overwhelm new visitors and there is a chance they’ll lose interest. Change your ad regularly so it will be new and fresh for repeat viewers. Monitor your results. See what works and what doesn’t and improve on whatever needs to be improved. 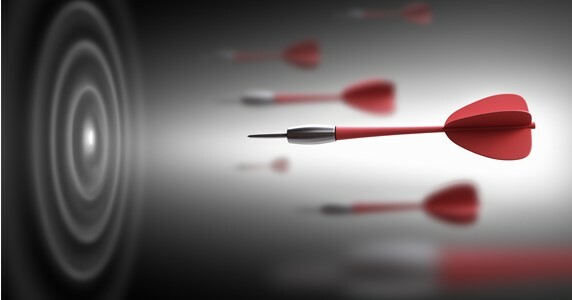 B2B companies are the ideal candidates for a retargeting strategy for many reasons, some of which are mentioned above. And with these tips, it is something you can get started on today.